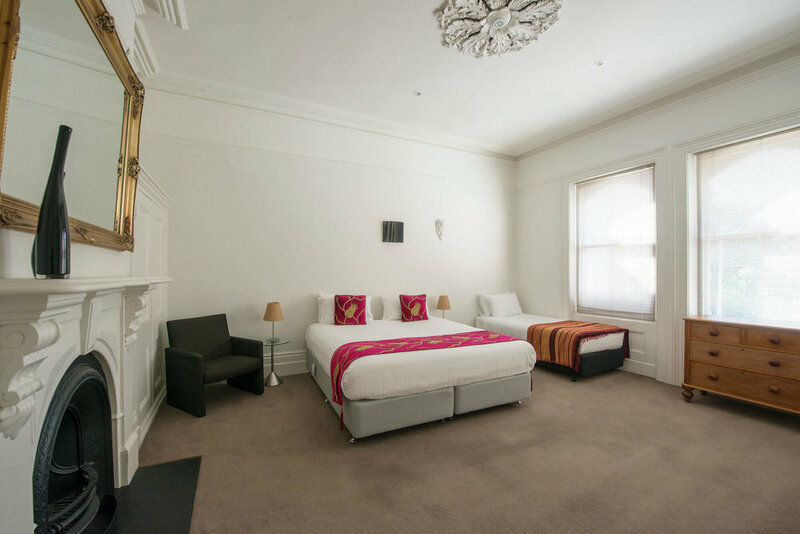 Undoubtedly Hobart’s most elegant Accommodation, Roxburgh House Apartments is a beautiful old building, found 400 metres from Hobart’s CBD with shops, restaurants and the glistening Hobart waterfront. 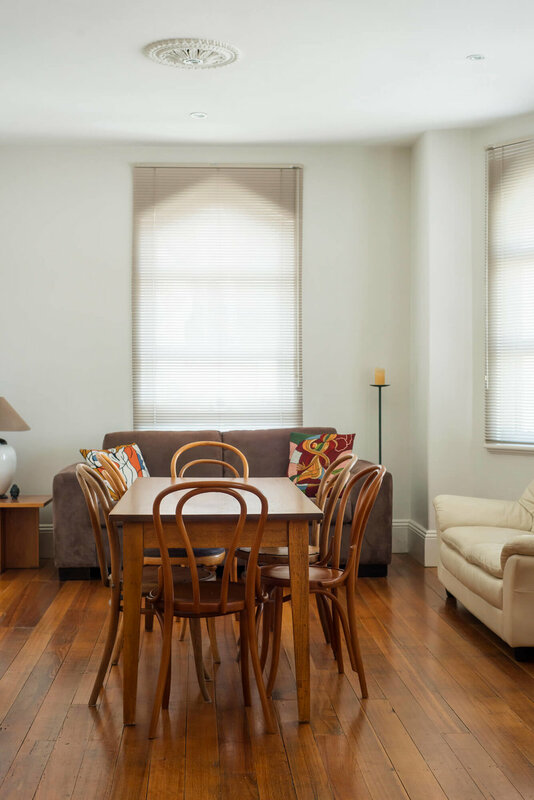 Discretely tucked away behind the façade of the heritage-listed Victorian building is a beautifully renovated first floor penthouse apartment, and a ground floor apartment and suite, all lavishly appointed with contemporary comforts making it the perfect Hobart accommodation. Apartment 1 has a very generous kitchen/dining/family room, separate sitting room, three bedrooms, two bathrooms and occupies the whole first floor giving exclusive use and ultimate privacy. 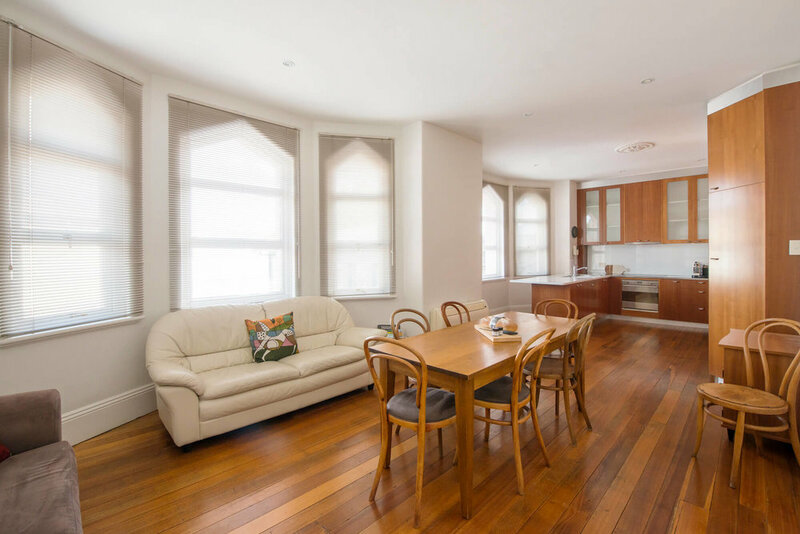 Apartment 2 on the ground floor has a spacious sitting room, a master bedroom with kitchen and bathroom, while the ground floor Suite on the other side of the entrance has no kitchen but accommodates two people in style without the need for climbing stairs. 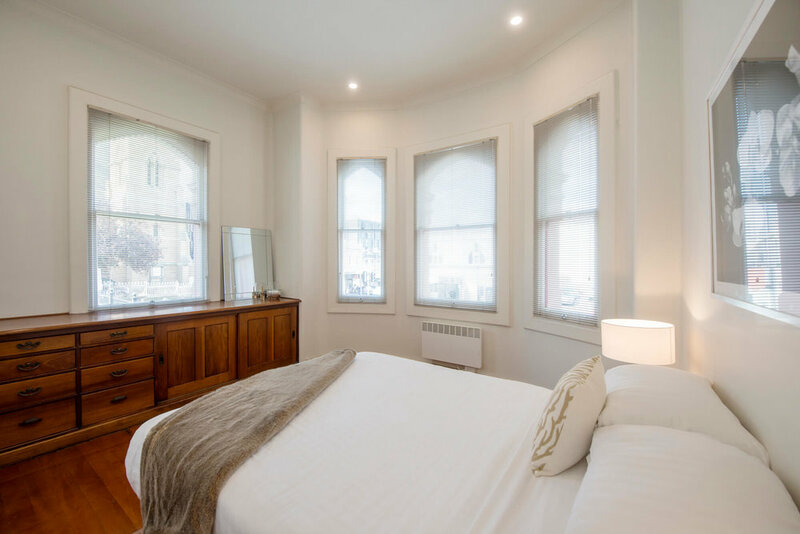 The two apartments and one suite are the exclusive occupants of Roxburgh House, an original nineteenth century heritage property with Italianate architectural influence. Built as a showcase educational institution, Scotch College, in 1880, it became Queens College in 1893 and amalgamated with Hutchins School in 1909. Learn more about the history of Roxburgh House. Ideal for a group of holiday travellers wanting to stay together - whether family (“The family who plays together stays together!”), friends or even conference delegates wanting a shared experience. A grand one-bedroomed apartment with a charming bedroom, grand sitting room, separate kitchen/dining room and bathroom, this apartment is an indulgent experience for a couple, but can also take small children or an extra couple of friends or family in the huge living room. 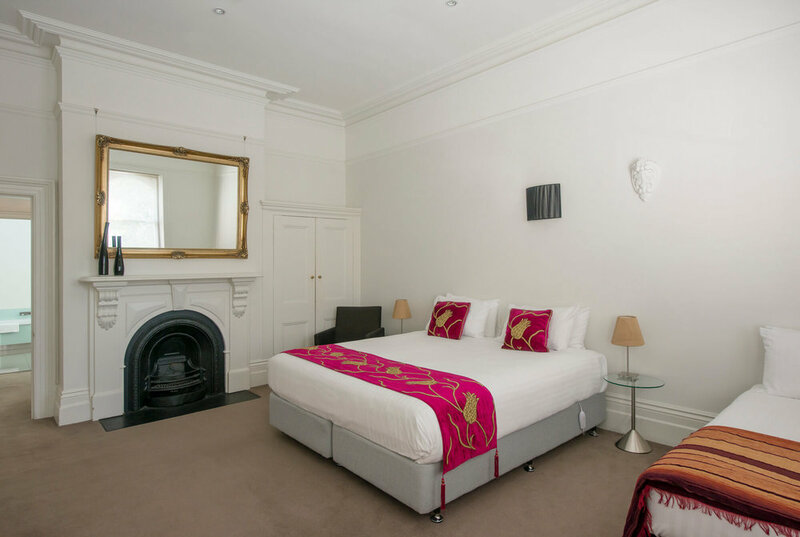 Ideally suited for two adults this elegant classical suite has a generous sitting room leading to a large bedroom with a queen sized bed (with a separate bathroom adjacent to the suite– NB not an ensuite). Learn more. Set midway between the Waterfront, Salamanca Place and North Hobart’s food precinct, which are just minutes’ walk either way, Roxburgh House offers a genuinely unique and authentic Hobart accommodation experience. Visit the Salamanca Market on a Saturday morning and explore to your hearts content. Click here to view more about the location and surrounding shops, attractions and restaurants.